Dontnod Entertainment, the team behind Life is Strange and the recently-released Vampyr, has just revealed its new game, Twin Mirror. The game was announced on Sony livestream today. A reveal trailer, which you can watch below, appeared on YouTube earlier this afternoon. Twin Mirror looks like something of a return to the Life is Strange aesthetic that shone the spotlight on Dontnod back in 2015. The trailer shows off what looks to be a primarily narrative-driven game with a supernatural twist. The protagonist, Sam, returns to what seems to be his hometown of Basswood, a place that very much appears to have co-opted Life is Strange’s Pacific Northwest setting. Life is Strange: Before the Storm was one of the best PC games of 2017. 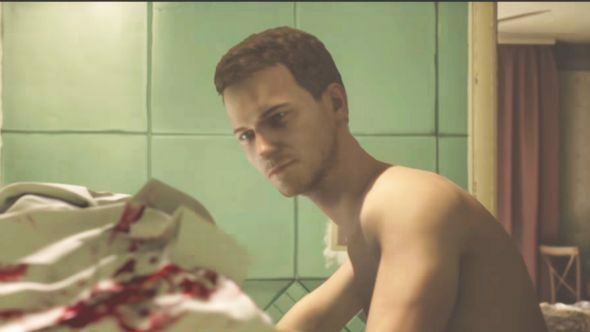 The game seems to operate around two conflicting realities – at least, that seems to be the case based on Sam’s inability to remember the events of the night before in the trailer. That and the ghostly apparitions that he finds himself battling. To continue the proximity to Life is Strange, Sam seems to be returning home to investigate the death of a local journalist, according to a newspaper cutting that appears briefly in the trailer. The trailer also reveals that the game will be published by Bandai Namco and is scheduled for release in 2019. Twin Mirror will be available for PC, PS4, and Xbox One. I’d say it’s a fair bet to assume we’ll see more of the game at E3 next week.